An artistic collage makes a wonderful family gift. 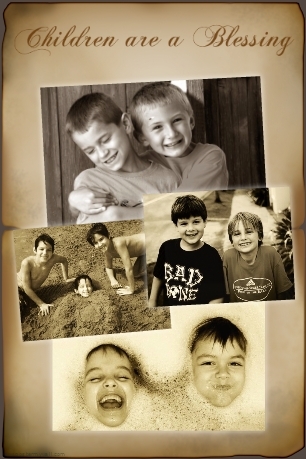 Use image effects like Sepia to give the collage a classic look. This works especially well with photos of children and adults in more formal classic dress. It gives that traditional look that will remain hung in the hallway for decades. You can edit the poster on the right, or get started with a new one!